Retired nurse treated for ruptured appendix in Grenada. “I worked for a major trauma medical centre in the US and I could not have got any better care than I did right here in Grenada,” said retired nurse Jody Whalen. Whalen served as a Physician Extender for the inpatient service at Parkview Regional Medical Centre in Fort Wayne, Indiana for the past 14 years. One does not cater for illness while on vacation in the Caribbean, but for Whalen and her partner Daniel Bult, that nightmare became a reality. They were aboard the S/V Champagne Moment, docked in Bequia in St Vincent & The Grenadines, when Whalen felt debilitating abdominal pain and sought medical attention on 9 January. She was moved to a hospital on mainland St Vincent where her symptoms worsened. Whalen returned to Bequia having lost all confidence in the medical professionals on the mainland. 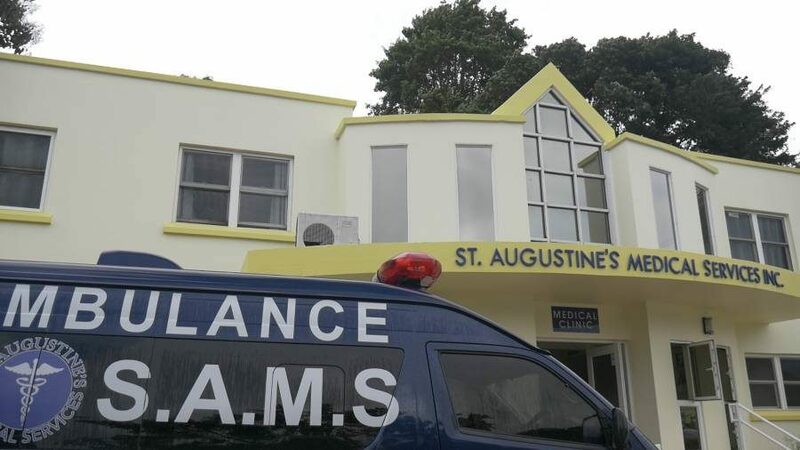 While awaiting the test results, her overwhelming pain prompted them to leave for Grenada where arrangements were made for her to be rushed to St Augustine’s Medical Services (SAMS). Landing at the Maurice Bishop International airport on 19 January, she collapsed. A taxi transported her to SAMS, where Dr Amechi was able to quickly determine the cause of her illness – a ruptured appendix. While recovering at SAMS, Whalen said it became clear that she was misdiagnosed in St Vincent as having gastroenteritis and not appendicitis, and if she had stayed there, she would not have made it out alive. Appendicitis is an inflammation of the appendix, a narrow, finger-shaped organ with no known function, that branches off the first part of the large intestine on the right side of the abdomen. If not treated promptly, the appendix can rupture, spreading infection throughout the abdomen. Possibly life-threatening, this condition requires immediate surgery to remove the appendix and clean the abdominal cavity. Dr Amechi said, “I don’t want to disparage my colleagues in St Vincent; acute appendicitis is not that easy to diagnose. 50% of the time we get the diagnosis wrong and the other 50% you are right… Imaging using ultrasound, CT scans are not as accurate as we would like it to be, because sometimes the little appendix has tucked itself underneath something, so you don’t see it and it is more clinical intuition and experience that will guide you.” Dr Amechi encourages people to pay attention to the signs their bodies are showing and to have regular clinical examinations to ensure that they remain healthy. Life has a whole new meaning for Daniel Bult and Jody Whalen, as they are continually grateful for God’s mercies.